Isolated wetlands are described as non-tidal, freshwater, inland, with no surface-water connection to Traditional Navigable Waters. Most of the wetlands in the greater Houston area are isolated wetlands. 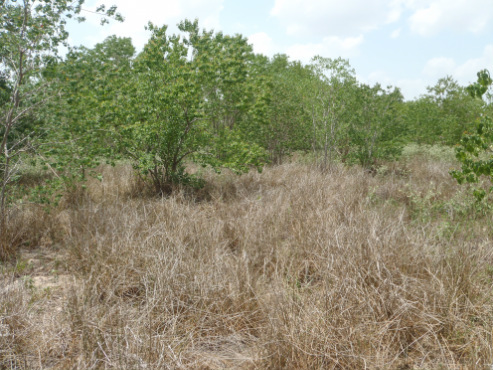 There are different types of isolated wetlands and they commonly occur in pastures, commercial land, open land, and land that overgrown with thick scrubs and forest. Isolated wetlands are not regulated under the Clean Water Act but there continues to be uncertainty over the regulatory boundaries and Landowners should take an active role in protecting their property against regulatory over-reach. 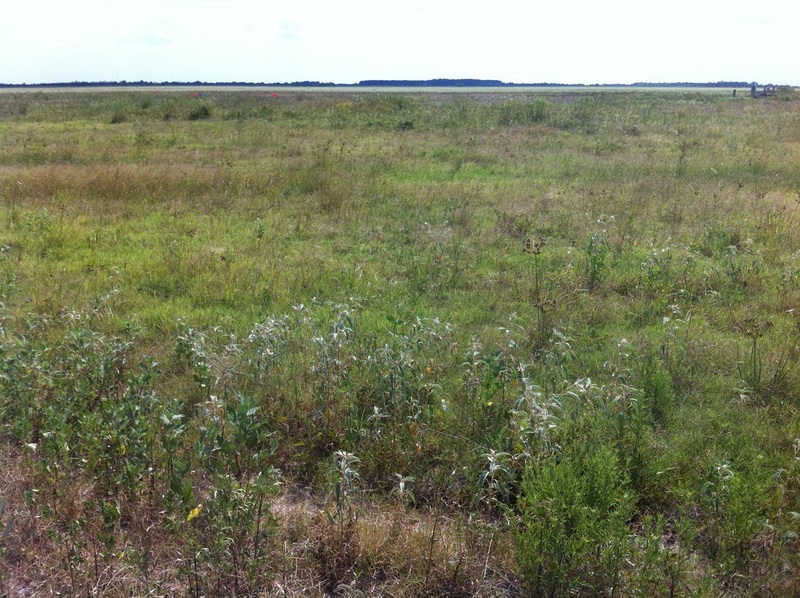 Most of the plant species that occur in the greater Houston area are now classified as "wetlands vegetation." 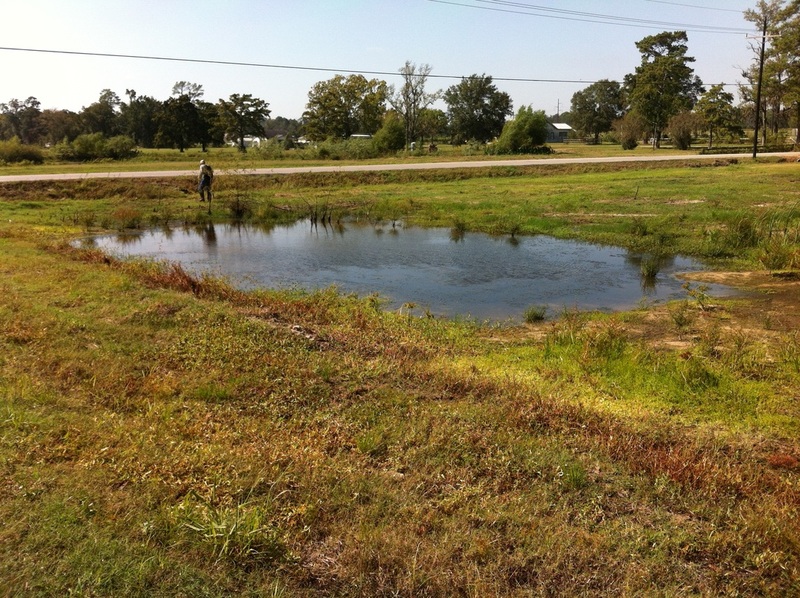 The technical criteria that defines "wetlands" is very broad and as a result much of the undeveloped land in the greater Houston area meets technical definition of wetlands. 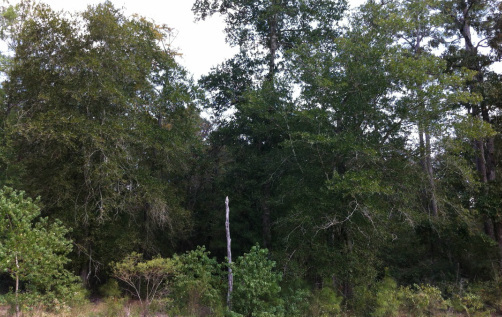 Very common on undeveloped land in the greater Houston area. Normally dry during hot summer months. Water marks on lower tree trunks indicate standing water conditions which normally occurs during the winter through early spring. Thick vegetation clogs drainage ditches and causes land to become poorly-drained and overgrown with wetlands plants. Routine mowing maintains good drainage and reduces potential regulatory encumbrances. 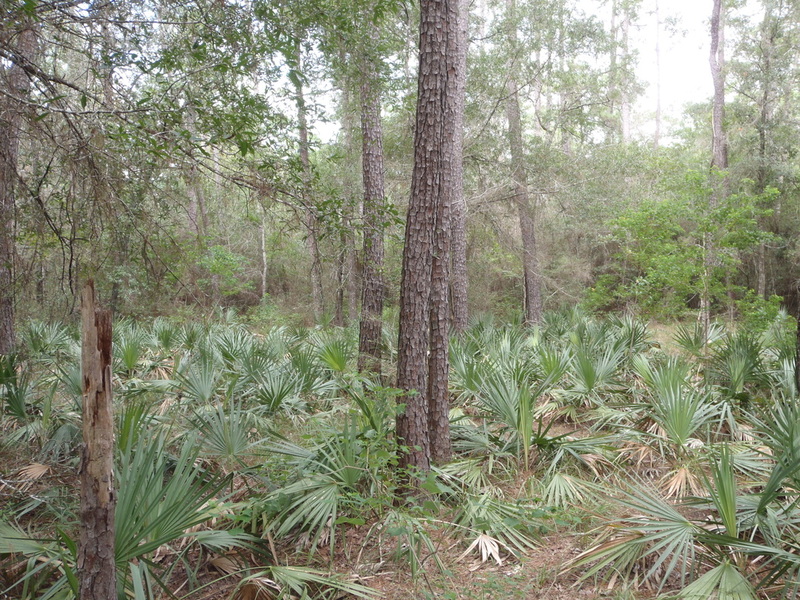 Most of the plants shown in this photograph are now classified as wetlands vegetation. This land is flat and poorly drained, and may be saturated for long periods during the annual wet season (winter through spring). Shallow fresh-water isolated wetlands surrounded by uplands and roads. This wetlands does not have a surface-water hydrology connection to downstream navigable waters and is not-subject to federal regulation.